The UMIK-1 is an omni-directional USB measurement microphone providing Plug & Play acoustic measurement. From speaker & room acoustic measurement to recording, this microphone provides low noise and accurate results you can rely on. Forget about driver installation, OS compatibility and un-calibrated mics. The Umik-1 is a USB Audio class 1 device automatically recognized by all Operating Systems (Windows/Mac) and Ipad with Camera Connection Kit. It is provided with a unique calibration file based on the serial number to ensure an accurate measurement. Combined with our recommended acoustic measurement software, it is the perfect match for a plug&play measurement system. MiniDSP have assembled some very comprehensive step-by-steps for the UMIK-1 for all sorts of applications. Please make sure to start reading our application notes to be up and running in no time! 1) Enter the serial number in the form below (three digits then four digits e.g. 700-XXXX). 2) Your calibration files will automatically download in most browsers. If not, click on the links provided to manually download. REW: miniDSP worked along with John Mulcahy to develop even greater compatibility for the UMIK-1 inside REW! With the latest beta release of REW (v5.01 and up), the UMIK-1 is automatically recognized by the software and prompted for use when REW is started with the microphone plugged in. Please follow our application note for more information. Dirac RCS: As a well known reference in the world of room correction with countless high end audio/automotive, we're honored to have Dirac as part of our partners. Dirac RCS is available in two version (stereo or multichannel). Please consult Dirac's website for more info. 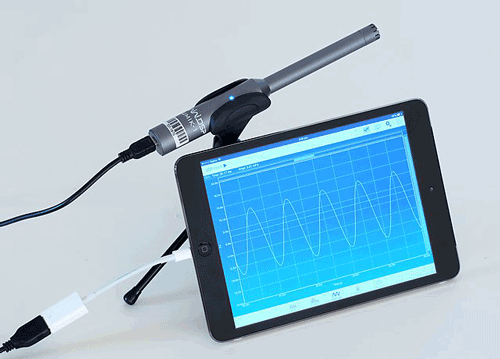 Umik-1 on Ipad: Our technical team has been testing the UMIK-1 along with few ipad apps. A plug&play setup for a full featured measurement + SPL meter running from the Ipad. Check out our application section for more info. Amarra Symphony: Amarra Symphony with IRC is an advanced music file player for the Apple Mac platform. It includes a feature called "Impulse Response Correction" (IRC), that corrects for acoustical errors at the listening position caused by early reflections from the speaker and listening room. It also provides the ability to tailor the response at the listening position using target curves.